George Dear standing on the “bridge” across Maire stream, which runs through one block of the bush preserved by his grandfather in the 1870s. 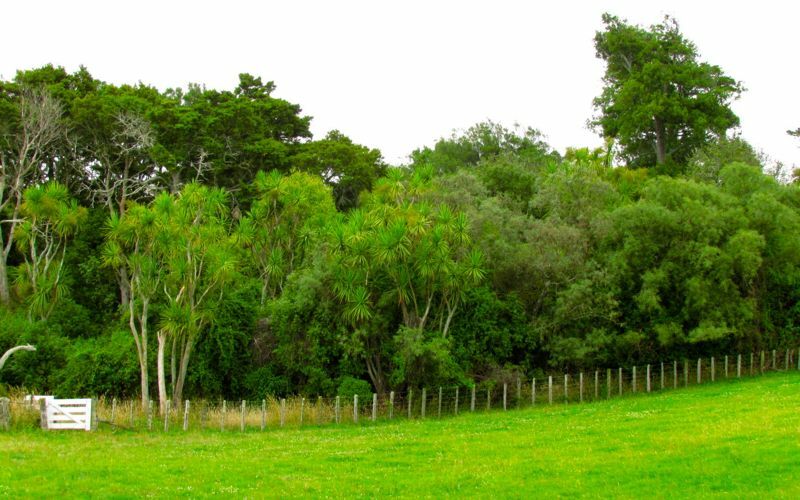 A few days ago, I had the privilege of visiting a piece of remnant forest on the plains between Manawatu and Rangitikei Rivers [click here to view location]. 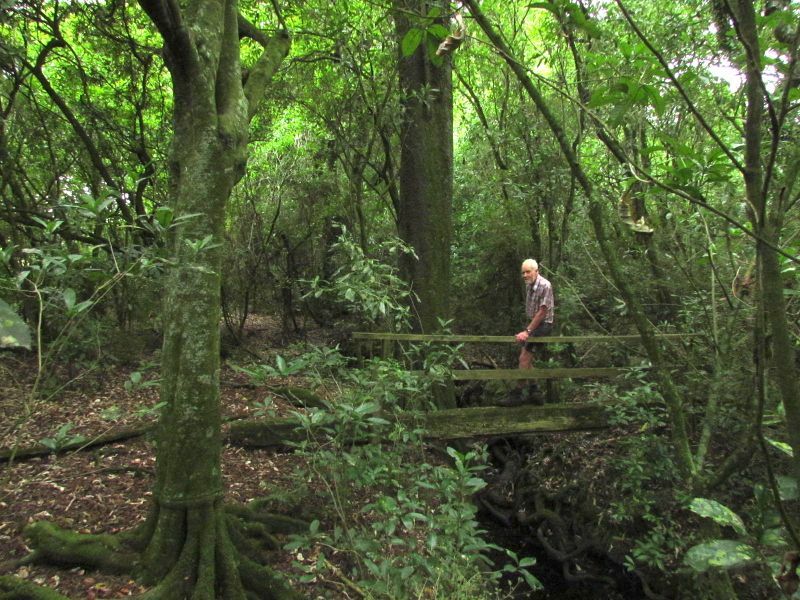 The bush was set aside by George Dear, an immigrant from Bedfordshire, England, who became one of the first settlers in the Rongotea district. Initially, he bought a section in Moutoa (near Foxton), but finding the area too swampy to farm, bought 271 acres in Rongotea after it was opened up for sale in 1872. He later expanded his holding to about 500 acres, becoming one of the largest landowners in the area. Like most Manawatu farmers at the time, he farmed sheep, and by 1881 he was recorded as running 625 sheep on his property – an impressive increase from the original 100 he ran in 1874. But as well as being a successful farmer (despite, like many settler farmers, not coming from an agrarian background), he was also a man of some foresight. He preserved two sizeable blocks of swamp forest on his farm. These both stand today, one at about 3 acres and the other at about 18. Through both blocks of bush run small streams, which feed eventually into the Makowhai Stream, a tributary of Rangitikei River. Today, his grandson, also George Dear (74), who took over the farm from his father, takes care of the bush – visiting every week or so to painstakingly deal to weeds, set up possum traps, strap up wind-blown trees and plant trees. 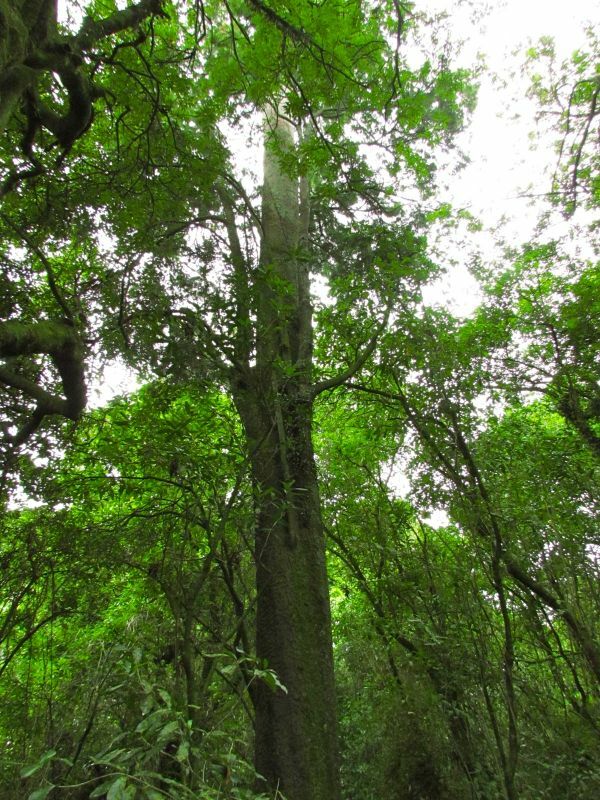 Unlike many bush remnants, which have deteriorated over time, the bush is properly fenced, and is covenanted by QEII Trust, so that even if the farm is sold, the forest will be preserved in perpetuity. Nevertheless, its preservation also relies on careful stewardship – to maintain pest and weed control, fencing and adequate wind protection. At some point – perhaps not in the too-distant future, George Dear will need to pass on this responsibility, and I hope that it is one that the community as a whole is willing to take on. Further reading: History of Rongotea (1981), by Pamela Benson; see also Alan Esler’s Botany of the Manawatu (1978) which records Dear’s Bush on his detailed map inserts. Yes indeed. A good thought Alan. I don’t think it is the kind of thought this government is capable of having, unfortunately. But the planet needs us to accept new ways of thinking if it is to survive.